Peter Weedfald began his musical studies under the classical instruction and guidance of Ofelia DeAnievas, a premier performer and recording artist across the globe. Peter performed at Carnegie Hall multiple times beginning at the age of 12 both solo and in four hand concerts. Peter’s band MacApplebee toured the country with original music opening up for such bands as John McLaughlin and the Mahavishnu Orchestra, Batdorf and Rodney and many others. His band CRIZMA toured extensively across America before Peter left to perform solo and in stand-in performance gigs with many well-known artists on the east and west coast. Peter continues to write and perform in classical, R&B and jazz musical venues. 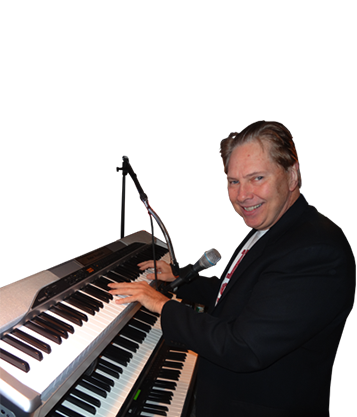 "I have been a serious pianist and keyboardist studying for 20 years and performing for decades. My fingers, ears, mind and heart first and foremost prefer my best of breed, always foremost keyboard, my Casio Privia PX-310. My second favorite instrument in my keyboard herd is my Casio Privia PX-350. Why? Crystal clear sound, fast functionality and emphatically touch and feel, like a real grand piano with heartfelt soul. Others have tried, but Casio Privia delivers big and super fine for me personally as well as for my audience in big and small halls alike."